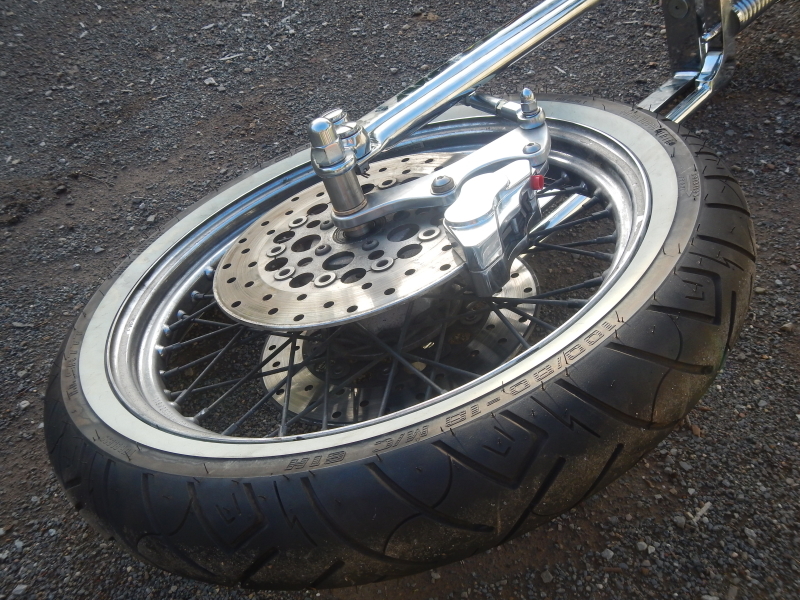 Henry purchased an Attitude springer some time back and is now setting it up. 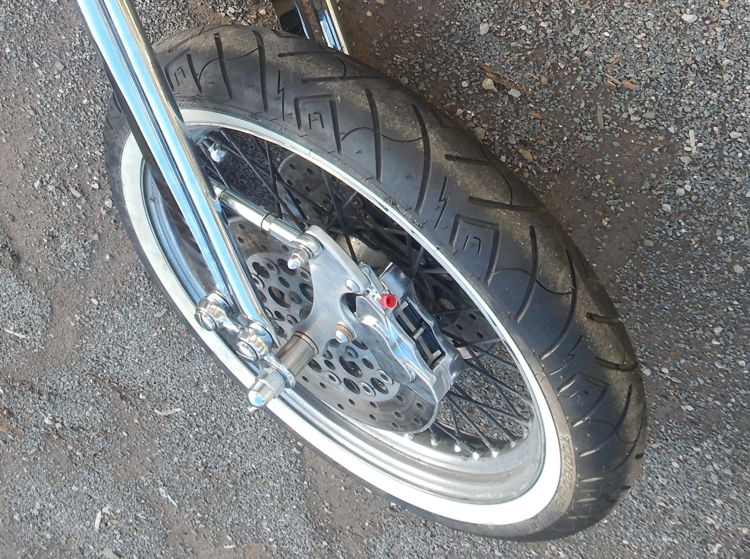 He brought it up last night because the spacers supplied with the brake kit did not fit. Also the brass bushes were incorrect. 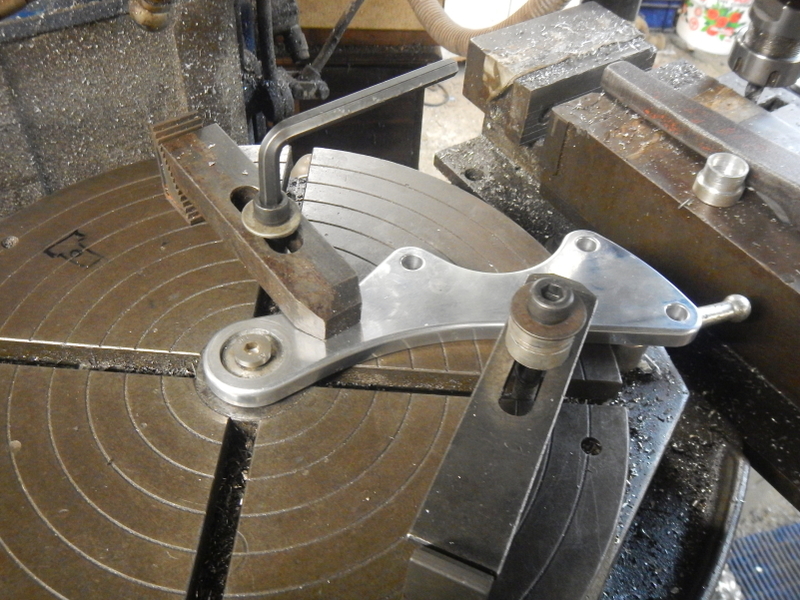 This is not the first time I have had this problem with these springers, but was not quite prepared for the extra curly one in the pot, a damaged caliper mount. Hope you can understand this diagram. 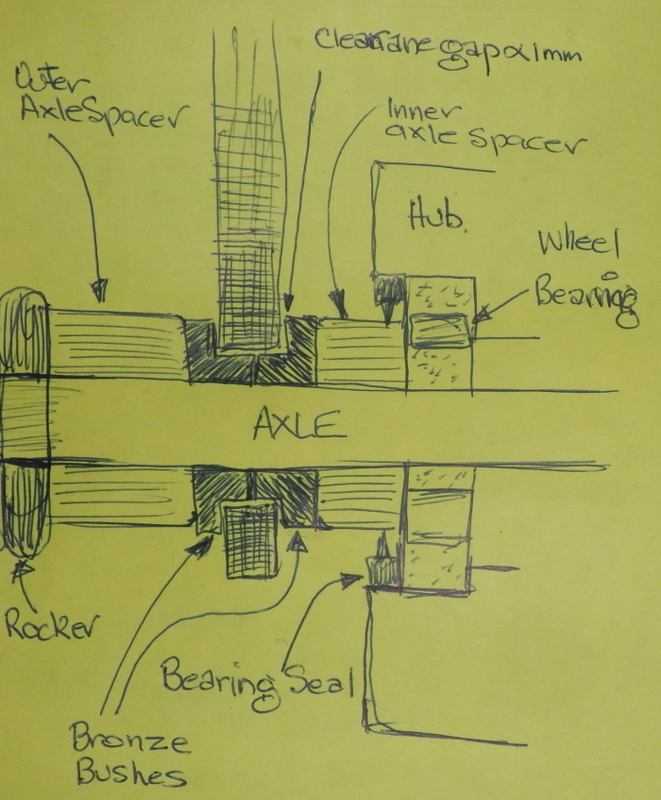 It's called a sectionalised drawing... imagine we have magically cut the whole assembly in half and can see all the parts. 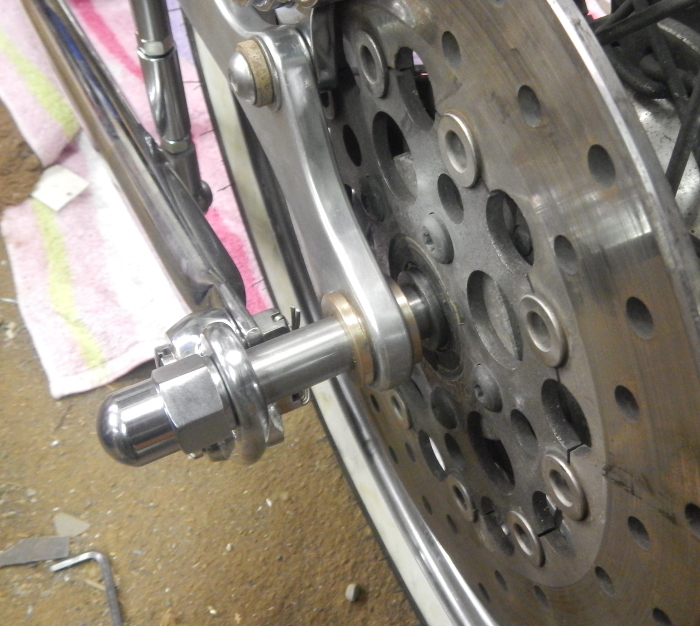 None of the spacers supplied filled the available gaps let alone centering the wheel. 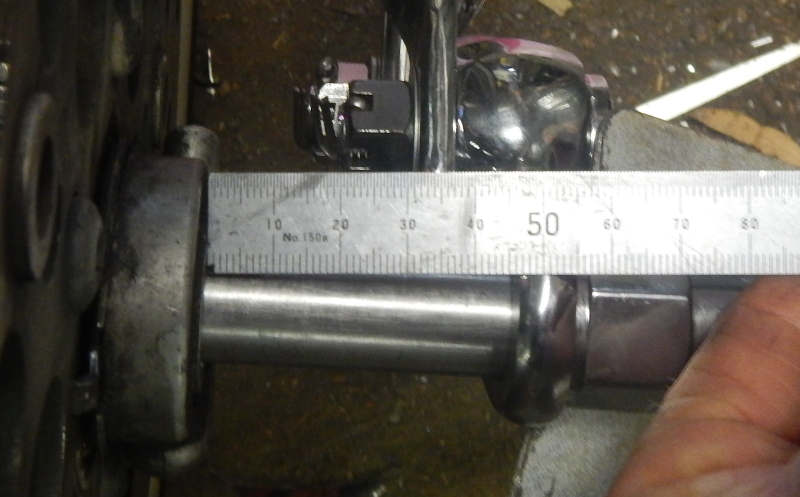 On top of that, the caliper mount has to be free to rock on the axle. This is accomplished by the bronze bushes I have made touching each other with a gap of about 1 mm clearance. The brass bushes supplied pulled everything up tight so had to be discarded. 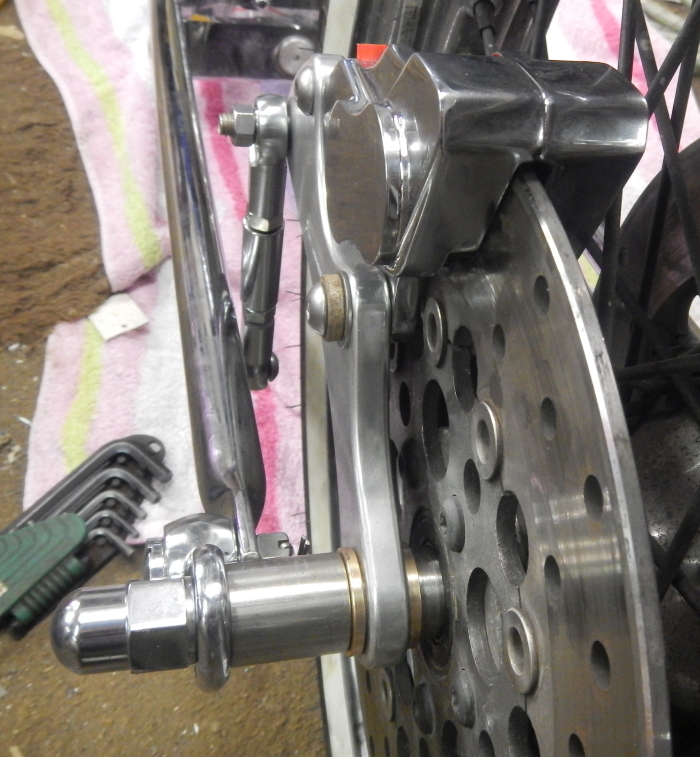 One spacer is needed on the left (speedo drive) side. 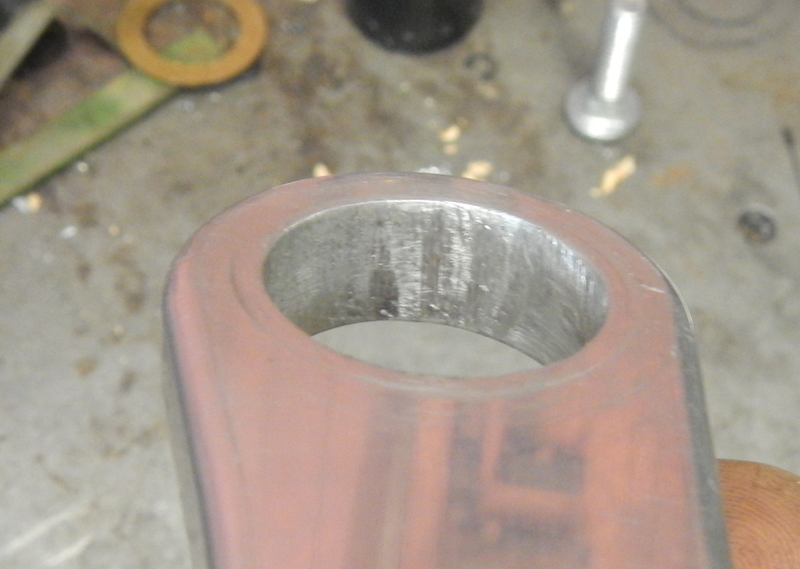 The following photo is an attempt to show the damage to the inside of the caliper mount axle hole. Though supposedly new, the hole has been coarsely filed and was very rough inside as well no longer being round. 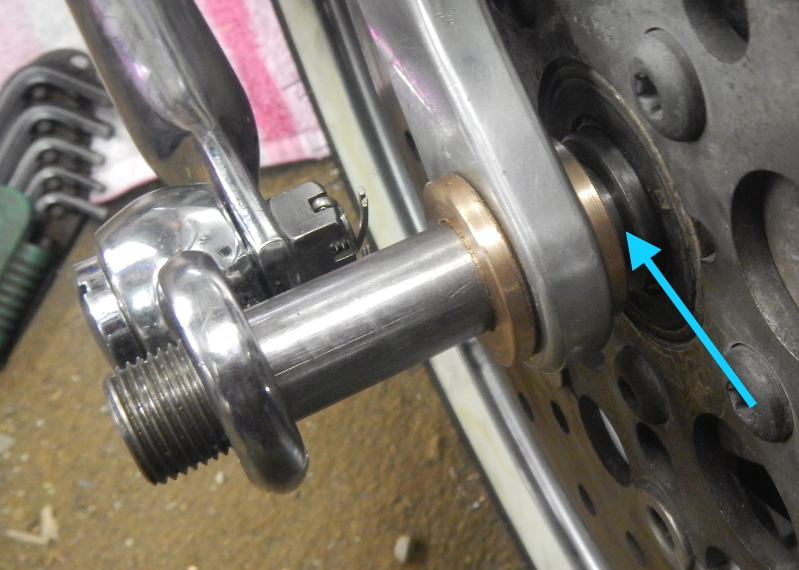 The two brass bushes that it mounts on were not only very loose (ie about 2mm of play) and would wear rapidly on the rough hole, but also as mentioned would have jammed the caliper mounting bracket. 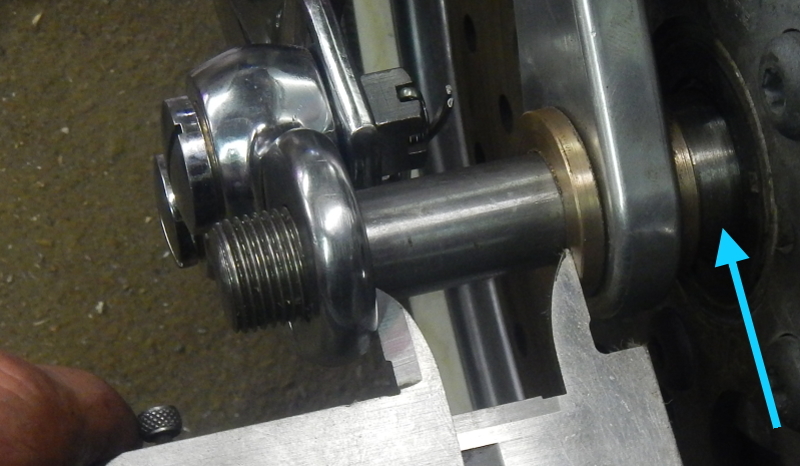 A couple of stainless button heads and a nice chrome acorn (not dome) nut and the job is done. 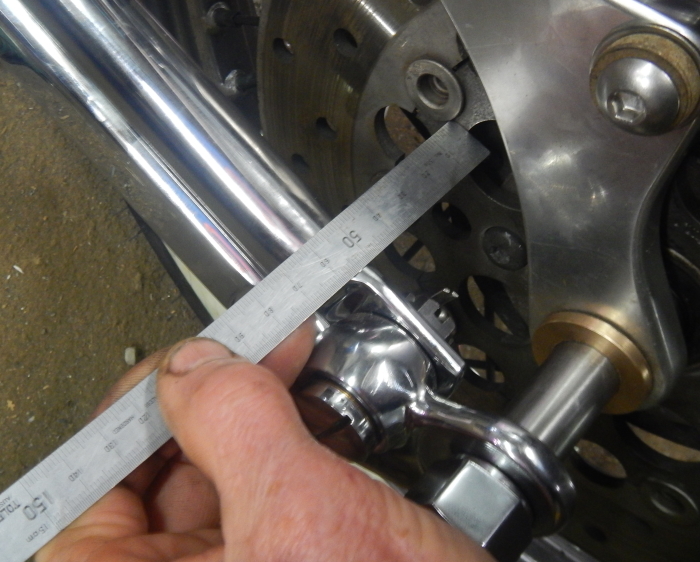 Caliper moves freely and the wheel is centred. 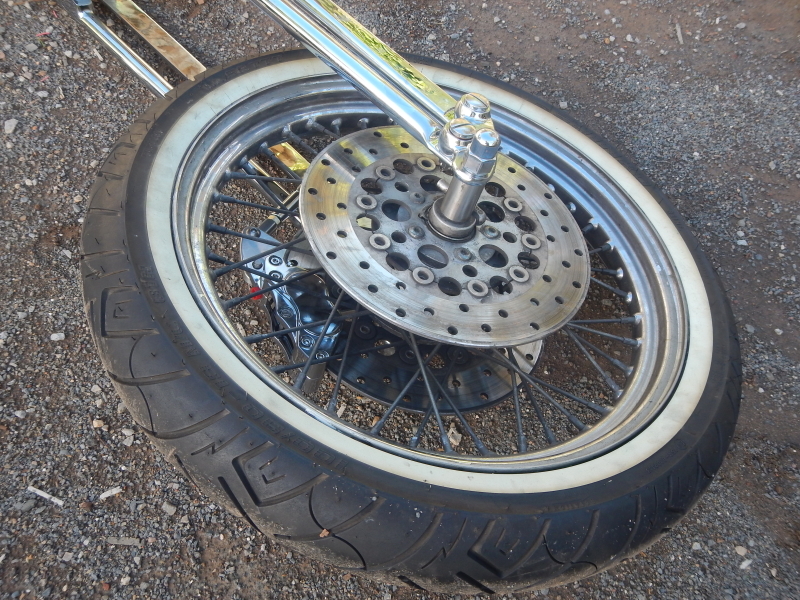 Should not have been necessary, but as was the common statement in the seventies, "Bolt-on ain't bolt on"